“Welcome to my website where you can view my artwork, purchase or order original artworks, prints or cards and find information on Art Exhibitions and Auctions. Each piece of art is meant for that special someone out there and is my gift to you, for the soul. 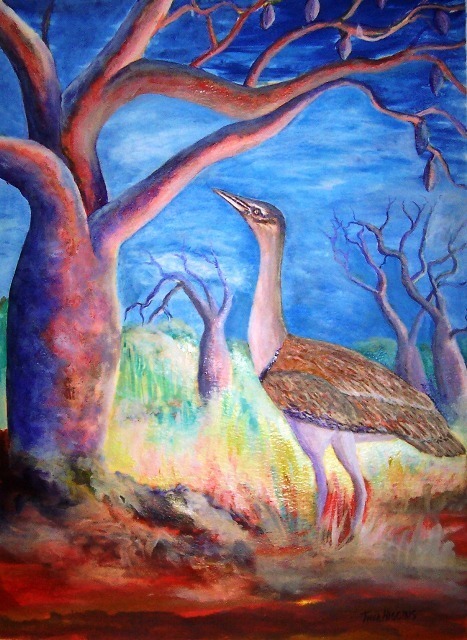 As a Kimberley artist from Derby in the Kimberley, North West Australia, I want to share my love of life and nature through artistic creation and expression. 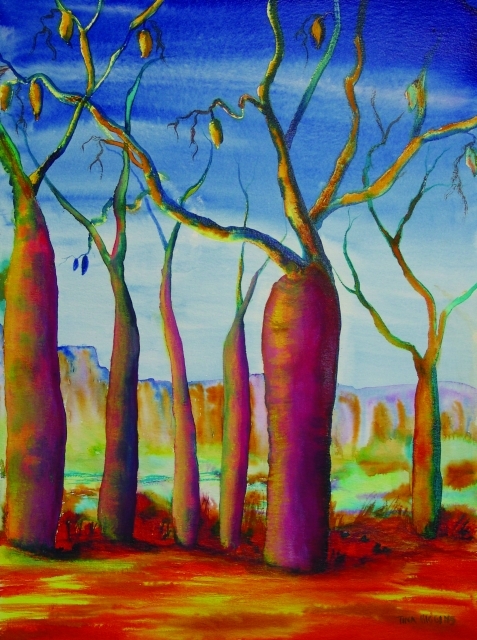 Boab tree paintings, Kimberley landscape paintings and outback art paintings are my artistic specialty. My paintings and artwork are also intuitive art, vibrational art, soul art and uplifting art which can reflect emotions, visions, a person’s character, messages or even a spiritual experience. I believe it’s possible that the energy I put into each Kimberley art painting whether it’s the beautiful Boab tree, a Kimberley landscape, people, animals or imagery can be felt, not just through the visual senses, but from the soul, from the Kimberley” Tina Higgins.